New Zealand, the land of gorgeous locales and fabulous adventure sports has hotels of different personalities and you can book a room or suite for yourself as per your luxury or pocket needs. Hundreds of hotels are willing to provide loads of high standard facilities to make time memorable for the traveller. You can book a star rated room for yourself and remain assured that you get high class services. Unparalleled and exclusive five star luxuries are the forte of Skycity grand hotel. Refurbished, elegant, and sophisticated rooms will cater to all your needs. The indulgent grand and executive suites along with the comfortable rooms and glorious views offer a huge range of services and facilities. Pick a room facing Waitemata harbour and see stunning sights of colourful boats and serene water. You can avail 24 hour room service facility if you need something at an awkward time. Free Wi-Fi, valet parking and “guests at any time” option, is a special attraction. Great coffee and fabulous foods of all types of cuisines make award winning dinners at the hotel. You are not going to be bored at all just gaze at the town from the iconic Sky Tower. You can also relax at the sauna and spa or take a relaxing swim. Leave your kids with the hotel baby sitters and hit the casino for some “money fun”. Hilton Auckland is uniquely created and is a luxurious contemporary, boutique style hotel that is just a 5 minute walk from main shopping arena of the city. The approachable Viaduct harbour, city centre, theatres and ferry terminal make this joint a hot favourite with the tourists. The waterfront position and fantastic menus designed by grand chefs make the hotel a place to head to. Rooms are furnished by ace designers and have a welcoming air. Have a hot cup of coffee on the private balcony in the morning and watch shimmering water in the sunlight. You can have a relaxed sit back in the heated lap pool after a vigorous session at the fitness centre. These are a few facilities highlighted that make this hotel a prime choice for many. This is a landmark destination with a whimsical maritime location and a pleasing delight for the traveller. The hotel instantly reminds a person of rich cultural heritage, grand harbour views and an opulent landscape of New Zealand. The unique Viaduct Harbour activities and view of Waitemata Basin make the tourist head hurriedly towards this tasteful, classy and bold destination. The hotel has a chic and tranquil water filled lobby that leaves a dramatic impact on mind of the onlooker. The private marina, luxurious suites and rooms of this rest place are worth a visit. The floor to ceiling windows offers magnificent views. Rooms have oversized bathrooms with soaking bathtubs that leave a strong impact on the tourist. Watch your favourite programs on the LCD televisions and dance to musical tunes with rocking music bursting from the BOSE sound systems. 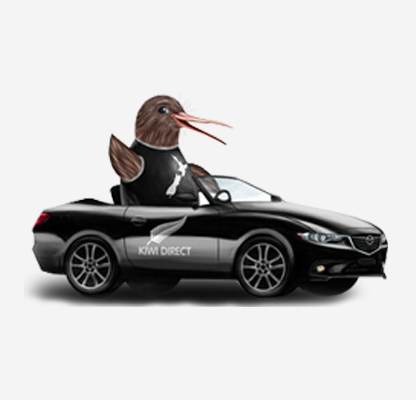 © 2017 Kiwi Car Rental. All rights reserved.